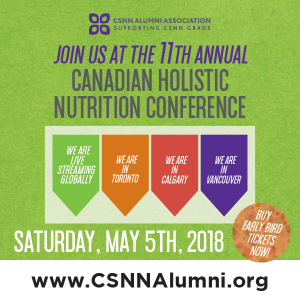 Dr. Melina Roberts will be a guest speaker at the 11TH Annual Canadian Holistic Nutrition Conference in Calgary, taking place on May 5th, 2018 in Toronto, Calgary, Vancouver and Live-streamed. Dr. Roberts will be speaking about The Thyroid-Mental Health Connection. Bone broth is a traditional nutrient-rich food that has made a resurgence in recent years as part of the Paleo movement and the Weston A. Price Foundation’s dietary guidelines. It is made by boiling the bones and associated connective tissue (typically beef or chicken) with an acid (eg apple cider vinegar), sea salt, a few veggies and fresh herbs, and then slow cooking them for 10 to 20 or more hours. This releases all of the collagen, marrow, amino acids, and minerals and the resulting gelatin-rich liquid can be used for the base of soups and stews or can be ingested daily as a nourishing drink. 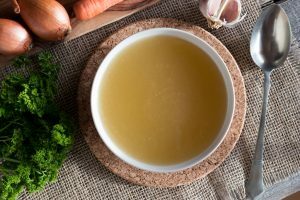 In my practice, I have also been using bone broth as part of a 3-4 day fast to address specific health concerns as well as a general detoxification strategy. A bone broth fast can facilitate weight loss by helping the body transition to fat burning (ketosis) more efficiently. Furthermore, the amino acids in bone broth can help prevent muscle wasting that occur during a water-only fast. A bone broth fast is a great way to jump start a 30 day Paleo re-set (eg Whole30) or a ketogenic diet. A bone broth fast gives the body an opportunity to initiate healing, especially in autoimmune and digestive disorders where even healthy foods can perpetuate inflammation in the body. Bone broth is high in collagen and glutamine which helps repair the lining of the digestive tract, thereby reducing activation of the immune system and lowering levels of inflammation. Increased intestinal permeability, aka “leaky gut”, has not only been implicated in many digestive and autoimmune conditions, but can also contribute to joint pain, headaches, skin rashes and acne, fatigue, brain fog, blood sugar imbalances, allergies, mood and attention disorders, and poor immune function. Furthermore, fasting reduces the levels of dysbiosis organisms (“bad” bacteria and yeast) in the digestive tract which further strengthens the gut and reduces inflammation. In addition to helping heal the digestive tract, the high amounts of collagen, amino acids, minerals, and gelatin supports healing of other tissues including the skin and joints. Glycine, an amino acid abundant in bone broth, supports liver detoxification, calms the brain, and enhances sleep. For a broth-only fast, 2-4L of bone broth is consumed throughout the day (eg 1.5 cups five times per day). You can stick with one type of broth or switch it up for more variety. As far as other beverages, filtered water and herbal tea are encouraged but try to avoid caffeine. If needed for extra energy, incorporate 2 tbsp of coconut oil (organic, cold pressed) or MCT oil (if tried before and can tolerate) in the morning which is an efficient energy source for the body but doesn’t impact insulin levels or feed bad bugs in the gut. Also, moving into can ketosis can disrupt electrolyte balance the body, which the broth should help mitigate, but a pinch of unrefined salt (eg pink Himalayan salt) can be added to your water if you are feeling lightheaded, shaky, or experiencing muscle cramps. To ensure success, do not plan your fast during a busy or stressful time and aim to take it easy and get plenty of rest to support healing. If a stressful situation arises that requires a lot of energy, consider postponing the fast until a more conducive time. Light exercise, such as walking and gentle yoga, is generally well tolerated but avoid strenuous activity. Although a 1-2 day fast can be helpful, 3-4 days is ideal to achieve a deeper level of detoxification, tissue healing, and re-setting of the metabolism. 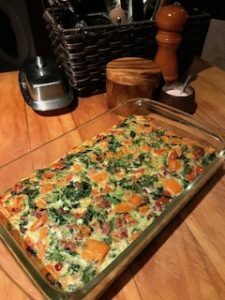 Easing out of the fast should be done with soft, easily digested foods such as sweet potatoes, eggs (if tolerated), smoothies, avocados, and blended soups and stews. Consider taking a high quality probiotic (approx. 20 billion CFUs per day) for one month after the fast to repopulate the gut with beneficial flora. If you feel that a bone broth fast was a helpful tool to support healing, it can be repeated every few months or as needed. The use of high quality bones is extremely important not only for the nutrient density and gelatin content of the broth but also to limit exposure to toxins that can accumulate in the bone and marrow. Aim to use bones from grass-fed, grass-finished beef or buffalo and organic pasture-raised poultry. The most affordable way to use bone broth is to make your own and there are many great books and online resources and recipes. 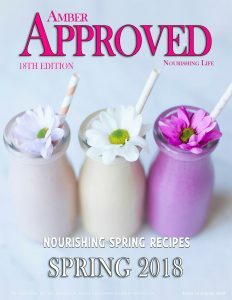 For recipes try: http://recipes.mercola.com/bone-broth-recipe.aspx or https://wellnessmama.com/5888/bone-broth/. Alternatively, if time is sparse there are locally-made high quality organic broths for purchase such as High Vibe Health (https://www.highvibehealth.ca/) and Osso Bueno (http://www.ossobueno.com/shop). Fasting is not appropriate for everyone including pregnant or breastfeeding women and those who are severely underweight. If you have hypoglycemia or diabetes or are taking any prescription medications, please consult with your medical professional before starting a bone broth fast. Chronic infections can be a major obstacle in someone’s ability to regain their health. Their contribution to disease is often denied conventionally so testing can be difficult to obtain through traditional medical means. 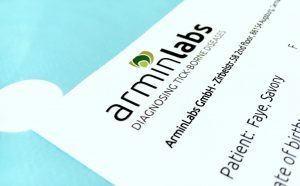 Armin labs from Germany is a laboratory dedicated to testing for the presence of a variety of bacteria, viruses and parasites. This is a blood test that is done in the office and then sent to Europe for analysis. This requires a blood draw from Monday to Wednesday.